Hello Delightfully Noted readers! I’m so excited to be here today! When Jennifer asked me to do a guest post for her I pretty much jumped at the chance! I love her blog, and it’s such an honor to be here today for my first ever guest post! My name is Sarah and I blog over at Simply Dove. It’s my little space where I share everything from thrifty finds to crafty tutorials to what I find inspiring. If you’re a regular reader of Jennifer’s blog, then you know how talented she is at DIY projects! 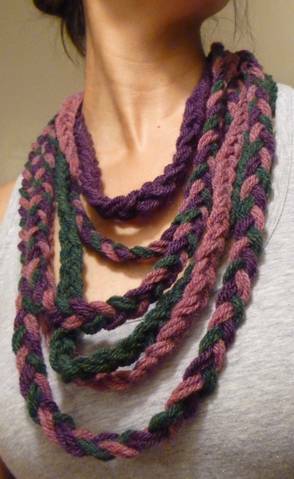 So, today I wanted to share a quick tutorial on how to make a braided cowl. Now, don’t worry! No sewing involved, I promise! The supplies you’ll need are pretty basic. Just a few different colors of yarn, scissors, tape, a yarn needle, and possibly a measuring tape if you want to be really precise. To get started, wrap a string of yarn around your neck to determine where you’d like your cowl to lay, then add about an inch. You can either measure this length, or you can just eyeball it like I did. Cut three pieces of yarn from each color in the desired length, and tie them together in a knot. Tape the edge to a stable surface, and braid away! 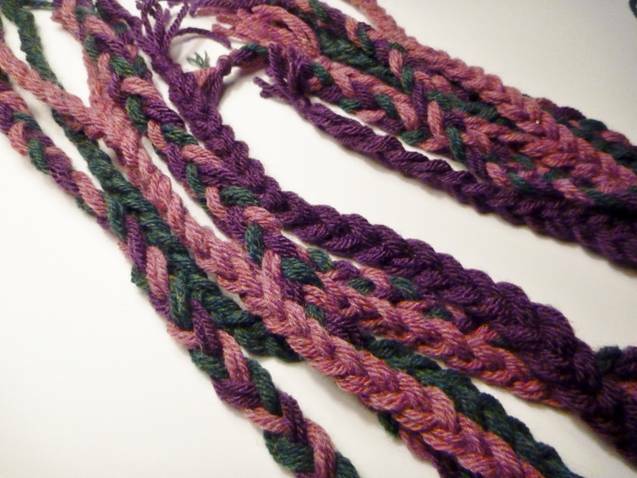 Try to hold the yarn with even tension as you're braiding. This will help to make your braids a consistent width. Once you get to the end, tie a knot, and you’re done! Now all you have to do is repeat this same thing until you have your desired number of braided strands. 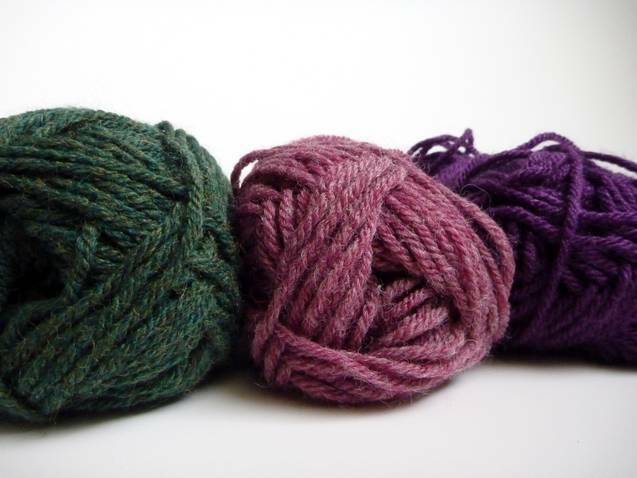 You can vary their length and color combos like I did, or you can stick to one color. I really liked combining my three colors. I think it helps the braided texture stand out a bit more. In the end, I wound up with a total of 7 braids, but feel free to make as many as you like. Now take your braided strands and tighten the knots at each end. Cut off any excess yarn so the ends are even. Can you tell I didn’t measure my strands?! Next, we want to connect the ends of each braided strand so that we end up with a circle. 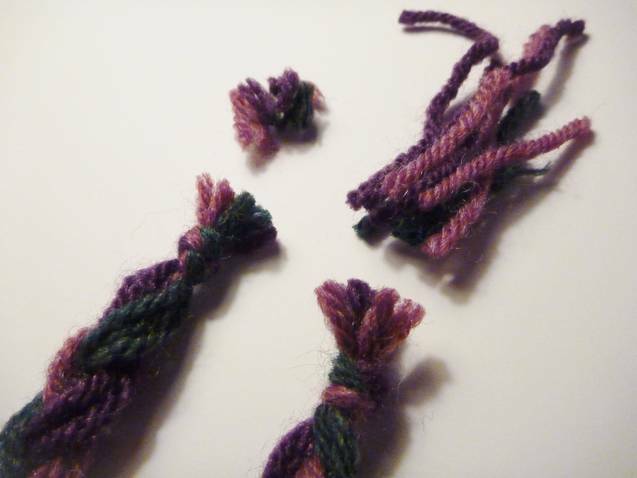 Take your yarn needle, cut a long length of yarn, and tie a knot in the end. Now, just weave this piece of yarn through the two ends of your braid until they feel secure. 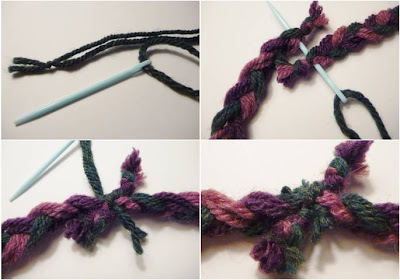 Tie the new yarn in a knot and cut off the excess. Do this same thing for each of your braided strands. Now we want to connect all our braided strands together. To do this, gather your braids so the ends are all together. 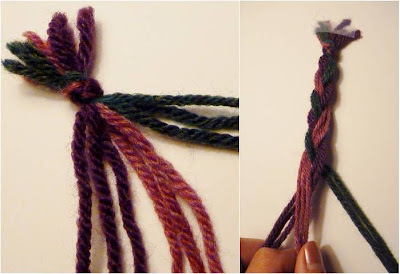 Take a super long strand of yarn and tie a knot around all the braids. Then, just start wrapping. Keep on wrapping the yarn around the braids until you get all the ends covered up. This will give you a nice even closure to your cowl. 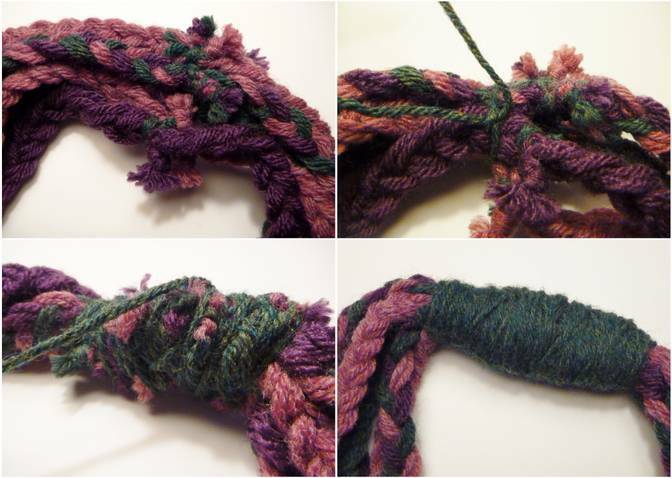 Once all the ends are fully covered, tie the yarn off and hide the end by stuffing it under the other wrapped strands. Done! Now you have an awesome yarn cowl. No knitting, crocheting, or sewing required! Well, I hope you enjoyed this little project! I want to thank Jennifer for letting me share this with you on her awesome blog! I hope you all have a fabulous day! Fantastic...this is a project I can do! So far, I haven't learned how to knit even though others have attempted to teach me but braiding I can do! You did a great job guest posting! oh sarah what a great project! i loved the colors you selected, glad to see you guest posting here, jennifer is terrific isn't she? The works looks wonderful! It must have been an amazing experience!! This is an amazing.I appreciate to this one,The written skill is so nice,Keep it up.I will keep share in future.Thank you for the precious advice. Love all the designs of the this project in the blog.This is pretty cool.I can do this one. I will gift this to my mum.These are lovely.